Weekends disappear in the blink of an eye; actually, the entire past week disappeared in the blink of an eye. I can hardly believe the week is done. It was an easy week due to state testing, but it is done except for makeups for students who missed a day or two. I look back at the week with a bit of pride – I accomplished quite a bit and am current with just about everything at school; however, my office space downstairs is a fire hazard and I have other tasks to accomplish this weekend. I have been tracking daylight in school with my kids in geography. We have seen almost an hour of daylight added to our day since mid-February and I look forward to adding more in the coming weeks. We are studying South America and have been tracking and watching the sunrise and sunset for our home (42N) and three South American cities: Armenia, Colombia (5N), Buenos Aires, Argentina (35S), and Lima, Peru (11S). We have noticed that the amount of daylight in our area has been growing and the daylight south of the equator has been declining. A couple of students have noticed that the further the city is from the equator the more (or less) light they get. I could tell them, but it is far more enlightening that they figure it out on their own. I can hardly contain myself as I look forward to their discovery on Tuesday, March 20th – The day of the Vernal or Spring Equinox. I de-activated the falling snow on the site this morning; sadly, MtDC got more snow than all of Wheaton this year and it is time to turn my focus from winter to spring, which is upon us. Plants are poking their noses through the soil and the trees will slowly come out of their slumber and will soon sprout leaves. I heard on the radio that Daylight Saving begins this weekend and I’m glad we’ll be leaping forward this weekend. It means more light in the afternoon and even though it brings less in the morning. I’ll be waking up in the dark and I’ll be driving to school as the sun rises and have time at home to toss a ball with Olivia or Ivy; maybe even practice lacrosse with William. Today is the scout troop’s spring court of honor and William and I will be crafting cobblers before long and celebrating the scout’s successes. 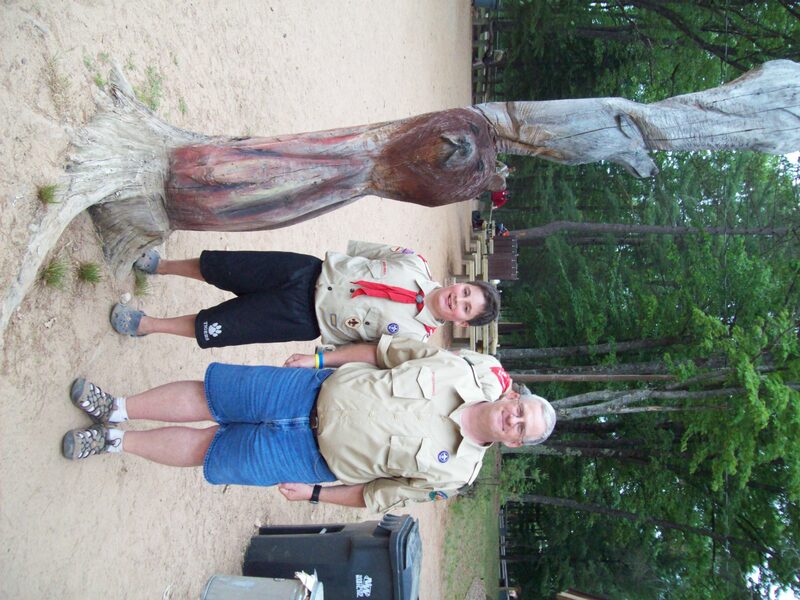 William has really grown up since joining the troop as new scout in 2009. He’s camped, been to three summer camps, earned multiple merit badges, and achieved Life Scout rank. This year, he’s assistant Senior Patrol Leader. Today, he’ll be getting the last of his Eagle required merit badges and he can start thinking about an Eagle project. Actually, he’s been thinking about it and has a couple of ideas. Beth and I are pretty amazed at his growth and his drive. I see it in school, too. Sixth grade was really a struggle and now as an eighth grader, he has become more independent in his learning. Next year, he’ll be in high school and I am still trying wrap my brain around that idea. Last night, we started the weekend shopping for cobbler fixing and dining at Five Guys and Fries. We got out of the car found Venus and Jupiter in the western sky. They are so bright and if I didn’t know any better, I would have thought they were stars. Maybe tonight, I’ll drive out west where the light of the city doesn’t wash out the stars and see if I can’t see Mercury, too. However, whatever, I do I’ll Make the Day Count, and work to make the weekend last, just a little bit longer. What do you like best about daylight savings time?